During your stay you will take part in olive tree harvesting, witness olive oil production process, have many opportunities to try the fresh olive oil of exquisite taste, savor recipes based on the use of olive oil and olives as well as get acquainted with a great variety of local products. You will visit: traditional and contemporary oil mills, the Museum of Olive Oil in Sparta and two state of art olive tree estates. During your tour you will also "meet" ancient olive trees and, among them, the original olive tree which gave birth to the "Kalamata" olives variety. 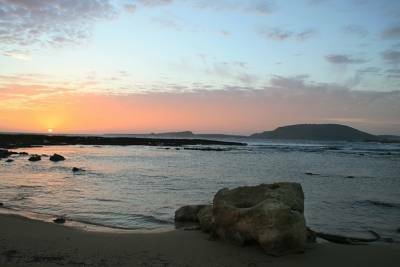 Your first accommodation will be at an mountain olive grove estate in Messinian Mani and then 4 day stay in one of the two suggested seaside olive grove accommodations in Western Messinia. 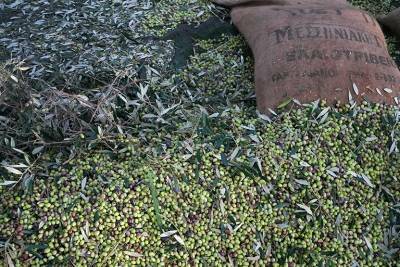 In a small village of Messinian Mani, our olive mill is active since the period of the Turkish occupation of Greece. The difference with the present operation is that in that days people used their hands to work, while nowadays there is electricity that is the main power used. Despite the passed years, the procedure is the same as in the old days, with some necessary changes. Skarpalezos family produces olive oil for 200 years. The olive mill of Georgios Skarpalezos is one of the very few olive mills in Greece, where the visitors can watch the whole procedure and the milling of the olives, taking place using mill stones having the best results in keepinguntouched the vitamins of the olive oil. Our family belongs to the first producers and manufacturers of the organic extra virgin olive oil of Kalamata. Our main goal is to keep the quality of our olive oil high, because the olive oil is philosophy for us, not business. 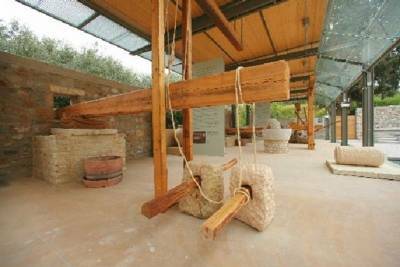 The Museum of the Olive and Greek Olive Oil in Sparta: aims to highlight the culture and technology of the olive and olive production, which is inextricably linked with the Greek and Mediterranean identity. Unique in Greece, it is located in the heart of Laconia, one of the main olive producing locations in Greece. In the upper floor the first testimonies about the olive in Greece , its contribution to the economy from prehistoric times to the 20th century, its role in nutrition, body care (cosmetic, pharmaceutical uses), lighting, while special mention is made of its symbolic dimension in religion, mythology, customs and mores. The unit concludes with a brief presentation of the olive’s position in art. 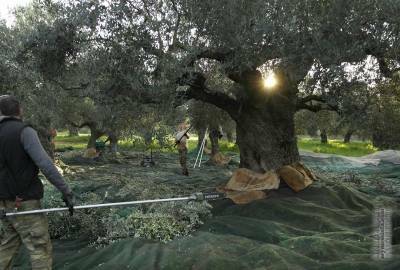 The tour starts from the earliest findings that demonstrate the existence of the olive tree in Greece: rare fossil olive leaves, 50,000-60,000 years old, found in the Thera Caldera. The first texts date back to the 14th century BC, on clay tablets inscribed with Linear B script. Olive oil’s capacity to cover a variety of different needs, rendered it one of the most important agricultural products, with a definitive role in the economy of each historical period. The position of the olive and olive oil in nutrition are presented in a separate unit. A series of other long forgotten uses of olive oil are also revealed by the information panels and exhibits (lighting, body care, beautification). The importance of the olive and olive oil in the lives of the Greeks is vividly revealed by the many symbolisms, the worship rites and folklore. The few examples of ancient and modern art in the Museum demonstrate that the olive was a constant source of inspiration for Greek artists. The Museum’s ground floor is devoted to the development of olive oil production technology from Antiquity until the early industrial era. The post-Byzantine technology and machinery are presented in the museum. An animal-powered olive oil press from Lefkada provides evidence for its survival during the 20th century. A wooden double oil press with a winch has been transferred from the neighbouring area of Xirokampi. Emphasis has been placed on the revival of the powered olive oil presses (water-powered, steam-powered, diesel-powered and power-driven) using large working models. In addition, given that olive oil is still linked to body care, one of the exhibition units is dedicated to soap-making, domestic and industrial. From the large cauldron that old housewives in areas where olive oil is produced still use to make soap, we pass on to industrial soap vats. The semi open-air exhibition will soon be shaped, with the mechanisms of a prehistoric, a Hellenistic and a Byzantine olive oil press, which will be set in operation for the Museum’s educational programmes. Dialiskari Villas are the only residences built on the beachfront of the natural small harbor of Agios Nicholaos offering an exclusive getaway spot for those who want to experience close contact with nature and sea, tranquility that defines the landscape, as well as authenticity of the local people.